11/11 is China’s equivalent of Black Friday. Check out the $89 Feiyu 3-axis gimbal and other deals on Gearbest! Use the code GBFYHG118 to get it at the insane price of just $89 (on Amazon, it’s $129)! This is the most affordable 3-axis gimbal I’ve seen for smartphones. Despite the incredibly low price, this is actually a very good quality gimbal. If you’re looking for a gimbal for a smartphone, this is the best deal I’ve seen. Not as low cost as the Feiyu but also a very good deal for a 3-axis gimbal for smartphones. This affordable gimbal has gotten great reviews. When shooting 360 videos, you need to use high speed Micro SD cards to avoid overheating or even dropped frames. This is a great deal for the Samsung EVO Plus, a trusted high speed (UHS-1 U3) Micro SD card. Use the code GBXMMJSH117 to get it at this price. This is the dedicated selfie stick for the Mi Sphere. It’s invisible and it can control the Mi Sphere without batteries. This is the lowest price I’ve ever seen for it! Why spend $400 on a GoPro Hero 5 Black when you can get a 4K action camera from Xiaomi Mijia, makers of the Mi Sphere for under $100? Unlike some action cameras that pretend to be 4K but are just interpolated, this is truly 4K. Use GBXMMJ4K118 to get the special price! This case works up to a depth of 45 meters. At this price, this accessory is a no brainer if you have the Xiaomi 4K action camera. Use the code GBXMMJWP118 to get it at this price! Use the code GBTRI117 to get this Gorillapod-like flexible tripod for just $0.11! Do you want to know where I find these deals? For extra-diligent deal hunters, here are other links where you can find low prices on a variety of products. 3. 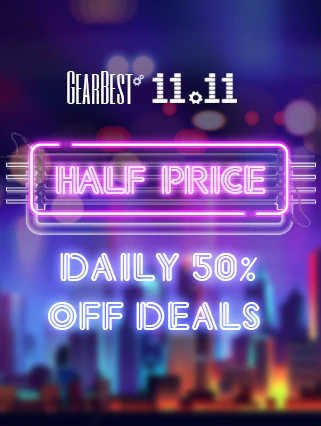 If you’ve never bought from GearBest, they want to entice you with these special deals only for first-time buyers. 4. Global flagship launch special: some brands have extra deals. BTW, if you ordered the Insta360 ONE recently, FYI you were fortunate because Insta360 has required Gearbest to stop all discounts on the ONE. Anyway, they’re now finally in stock at Gearbest so you should be receiving it soon. If you want me to email you the latest deals, sign up here. Is the code for the octopus tripod already expired?